This course is for beginners, trainers that want to lay the foundations to become PRO with kettlebells, or those who simply want to learn more. Kettlebell Training Fundamentals is the first course in the Cavemantraining kettlebell courses. You could pay a kettlebell instructor thousands of dollars and more than likely still not learn all of the finer details and secrets learned here. I will explain how to reduce or completely prevent any aches and pains you might experience performing exercises such as swings, cleans, lifts, and presses. Learn how to avoid pain in the knees, elbows, wrists, shoulders, neck, lower back, forearms, etc. 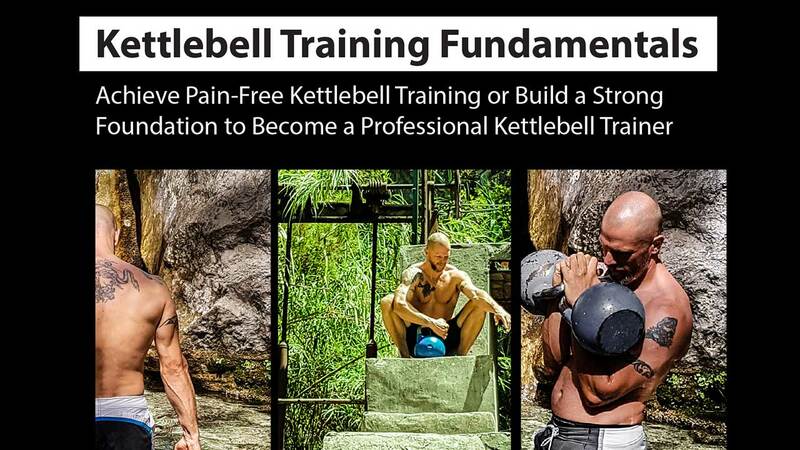 This course is for people who experience pain or discomfort from working with kettlebells; you can actually reduce or eliminate calluses, forearm pain and bruises, shoulder pain, elbow pain, and other maladies that result from using kettlebells incorrectly. The most common exercises are covered in simple terms as well as intricate detail. You will not only find information on how to prevent pain, but why you need to do something a certain way will also be clarified; no one truly understands something fully until they appreciate the ‘why’ behind the explanation. You will also find details that you won’t find elsewhere: for example, information about the many types of kettlebell grips available. It’s hard to believe, but there are more than 25! And find not just a list of grips, but also an explanation for how to execute the grip and what they’re most commonly used for. Any internet search will result in lots of information about grips, but it will also yield a lot of misinformation. I guarantee you that you won’t find the solid descriptions based in practice and successful results that you will find in this course.